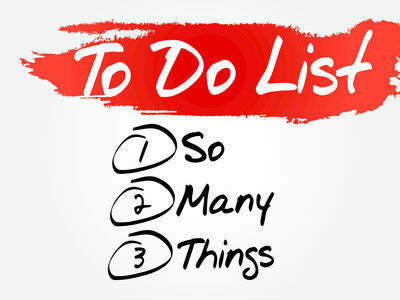 Simple, powerful, and focused: The Daily Top 3 could streamline your massive to-do list, one fulfilling day at a time! Raise your hand if your to-do list runs longer than the Nile River. 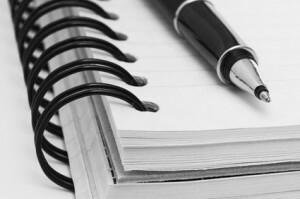 If you’re like me, you rely heavily on – and perhaps gain a sense of satisfaction from – your lists. I’m not sure how I would ever accomplish anything if I didn’t write it down first (a phenomenon that seems to become more and more apparent with every passing birthday)! Love may make the world go ‘round, but lists help us get things done. * They can interfere with a sense of accomplishment. Those tasks that carry over from one day to the next week to the following month? They drain our mental energy, plus we don’t get the satisfaction that comes from crossing them off. * They can quickly move from supporter to dictator. If you find yourself feeling like the Tasmanian Devil from the old Bugs Bunny cartoons, spinning around in circles trying to get everything on your list done, your list may be driving you rather than supporting you. That’s both inefficient and exhausting. * They usurp time. If your to-do list is pages and pages or screens and screens long, and you are sifting through all those items multiple times throughout the day, your list itself is taking more time than you realize. And on a higher level, we can keep busy for a lifetime with our myriad tasks and to-do’s – and not make any progress on our big-picture strategies, visionary goals, and meaningful endeavors. The books we want to write, the events we want to host, the lives we want to impact… Those significant projects never gain traction if we aren’t intentional about them. That’s where the Daily Top 3 comes in. 1. Create your various lists: Life List (aka, bucket list), 5-year plans, annual goals, projects, possibilities, tasks. 2. During your Weekly Review + Planning Session, lay out your tasks and commitments for the week based on those goals and dreams you’ve identified for the year. 4. Write those 3 things on a sticky note, placing it somewhere prominently seen and away from the rest of the to-do list. 5. Whenever possible, tackle those Daily Top 3 items first, or at least early. You’ll start the day with a sense of accomplishment and the knowledge that you are moving your important goals forward – not just keeping busy. Once I started using the Daily Top 3 method, I noticed a curious phenomenon: I began to experience a greater sense of fulfillment at the end of the day – even on those days that did go haywire (which, in reality, feels like most days, right?!). Instead of frazzled and constantly behind, I started feeling more centered, prioritized, and clear. 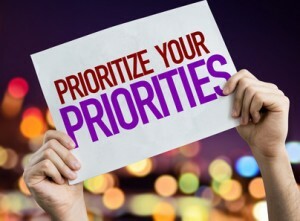 If prioritizing doesn’t come easily for you, choosing your Daily Top 3 may take a little time at first. But you’ll get the hang of it (and if not, contact me for a coaching session). It’s not nearly as complex and labor-intensive as some of the A/B/C/1/2/3/x/y/z systems out there, and its power comes with its simplicity. You may even find yourself blocking the first hour of each day to make progress on those three items. And once you become disciplined in the Daily Top 3, you will be stunned at how much time and mental energy this step saves you in the long run. Record them on a sticky note, put it on your planner or computer monitor, and put the rest of the list away. Then, relish the productive power of three! Want to make better use of your precious time? That’s one of my favorite areas to coach. Contact me to schedule a consultation!